Flame Brazilian Steakhouse Chef de Cuisine Nathan Hahn describes himself as a “meat and potatoes kind of person.” He has worked at Tribal establishments since graduating from Platt College with an Associate of Science in Culinary Arts in 2006. “I’ve always kind of been drawn to making people happy with cooking. It’s one of the best feelings in the world for me,” he said. Hahn obtained his current position at the restaurant located inside Citizen Potawatomi Nation’s Grand Casino Hotel & Resort in September 2017. Born in Newton, New Jersey — a small town of about 8,000 people — Hahn spent stints of his formative years in his home state, different parts of Texas and Oklahoma. His interest in food took shape at a young age. His memories of the kitchen and family align. Hahn reminisced about one of his mom’s favorite dishes to make, and his love for comfort food and meat. Flame’s Chef de Cuisine Nathan Hahn’s previous experience cooking at steakhouses brings a special skill set to the Brazilian-style menu. 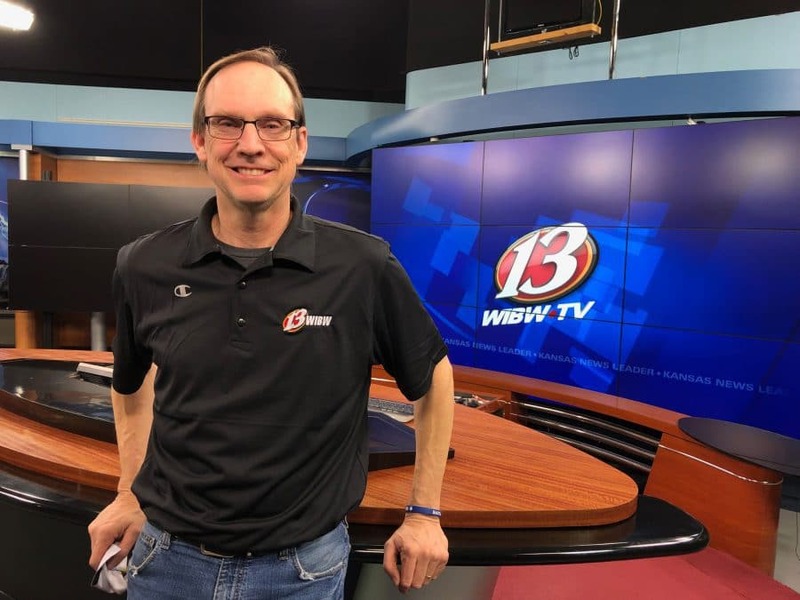 At 15 years old, he got his first job as a dishwasher at Rainbow Inn in Shawnee, Oklahoma, “a little mom and pop place,” Hahn said. His mom encouraged his employment, and Hahn believes it helped him develop a strong work ethic. After graduating, Hahn worked at Embers, the Grand’s previous steakhouse, and spent his days broiling, searing and grilling. His tenacity, education and prior kitchen experience prepared him for his current position at Flame, tackling a fine dining kitchen’s day-to-day duties. Brazilian steakhouses like Flame slowly blacken meat using a rotisserie over an open, lump charcoal fire known as a churrasqueira. Restaurants rarely use the technique, and Hahn’s knowledge from spending time at Ember’s Steakhouse made the transition to the new cuisine smooth. Hahn described himself as a “firm believer” in the power of salt and pepper as seasonings. To achieve a Brazilian steakhouse’s signature rich taste, he uses smoked rock salt. Hahn also takes pride in the hands-on approach to preparation. He begins each day butchering and cleaning the meat by hand, which he said is essential to achieving five-star quality. Customer feedback reflects the attention to these priorities, and he looks forward to leaving his own mark on the menu. 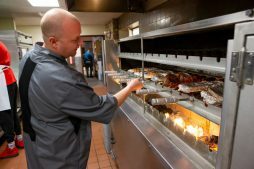 “We’ve had people come in from out of state who have eaten at other Brazilian places and say, ‘This has been the best,’” Hahn said. And he wants things to stay that way.